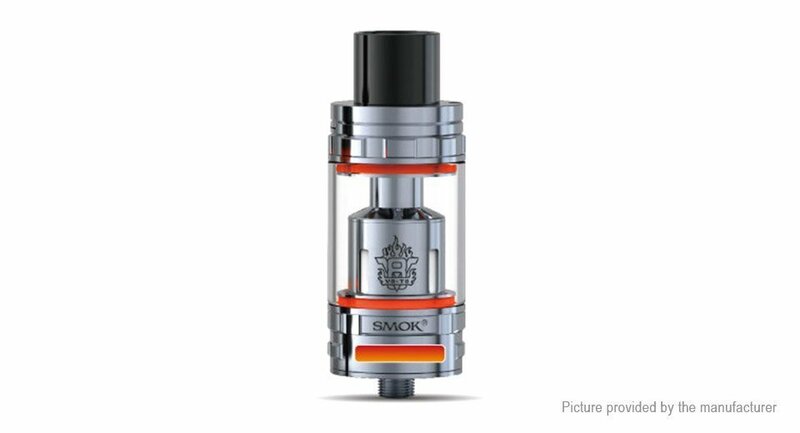 Smok released their newly tank-TFV8 tank,an atomizer designed to maximize energy to the coil and to your vapor in every possible way. The TFV8 tank with delrin drip tip with large caliber which could bring large cloud,the vape cloud will be filled whole room with just a few vaping. TFV8 brings the great power which will change your vaping life again. TFV8 - the top level sub ohm atomizer, which adopts 4 UniquePatented Turbo Engines: V8-T8 (6.6T), V8-T6 (6.0T), V8-Q4 (5.0T), V8 RBA (4.0T-X), all of these make it to be a real Cloud Beast! V8 RBA: 18mm Build Deck | Pre-Installed 0.28ohm Dual Fused Clapton Coil (50-140 Watts).